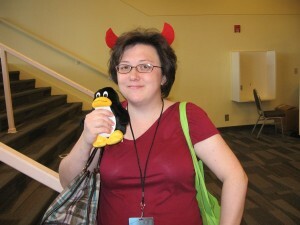 This past weekend, JoDee and I went to Ohio Linuxfest 2010. This is the 4th Ohio Linuxfest that I've attended, and I'm grateful that I had the chance this time to make it to Ohio Linuxfest. The reason was because I thought I wasn't going to make it this year. 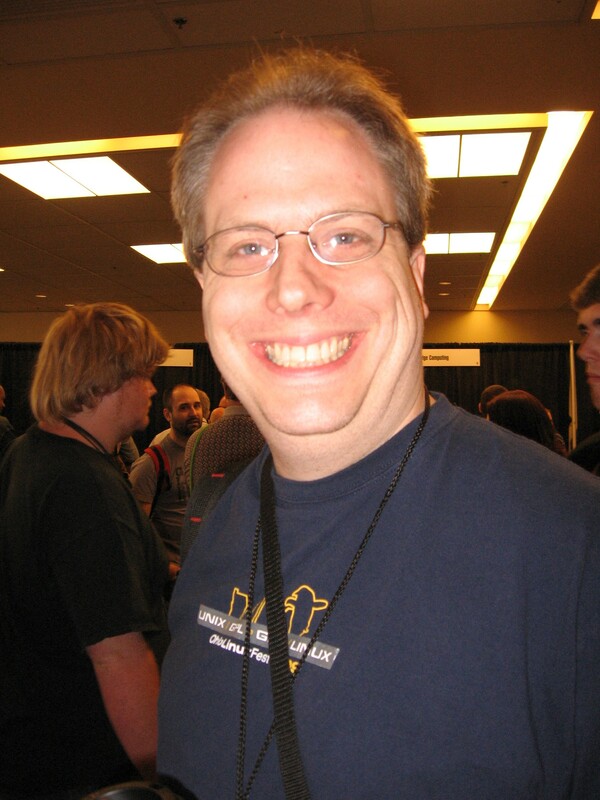 When I was working at Geeknet, I was pretty sure that I was going to be on-call the weekend of Ohio Linuxfest. So, I didn't hold much hope out for being able to attend. 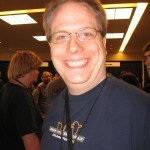 When I was laid off, the on-call situation changed, but now it was a question of allocation of funds for Ohio Linuxfest. Fortunately, JoDee convinced my parents that Ohio Linuxfst was important to me, and she got them to graciously kick in some cash to help me attend. This was part one of my birthday present. Every year, I get the supporter package for Ohio Linuxfest. I get the supporter package because I want Ohio Linuxfest to continue to be there year after year. Unfortunately, since I was laid off, I didn't get the supporter package. But, my wonderful wife, JoDee, knew that this was important to me, and upgraded to the supporter package. So, a weekend that might not have been became an awesome weekend, where I got to participate with the community that I love. Rick and I got to do some awesome interviews for Lococast.net, so we'll have those up this week. Plus, I got inspired to play with some Arduino boards. And JoDee is so amazingly awesome. Thank you, sweetheart!